Project Muscle Cars For Sale – How to Get Started on Fixing Old Power Cars! For the true old car repair aficionados, there is no better delight in life better than the feel of being able to fix and repair an obsolete, broken down, forsaken muscle car from the fifties, sixties or seventies. The satisfaction you get from repairing such a car and then actually driving it is the best feeling in the world. This hobby is not for people strapped for cash. You’d expect decades old cars to be extremely cheap. You’d expect scrap yards to give them away for free. But quite the opposite is true. Many people enjoy the style, class and charisma of a classic, genuine muscle car. There are no new ones being made. There are not many left. They are in high demand. The prices for this type of automobile are pretty much equal to the price you will pay for a new, modern vehicle! 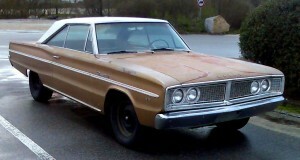 If you love old cars and you have the money and the time to invest in old project cars, then why wouldn’t you? For people with the means to purchase these cars, there are plenty to go around online. Their costs vary from $1500 to $20,000 per vehicle. It all depends on how rare the model is and how complete it is. Obviously, the more rare a car is, the more it will cost. This economic principle applies to cars the same way it does to everything else. People looking for project muscle cars, are looking for cars that miss a required part to make it drivable. Because project cars are by definition incomplete cars, these will always cost much less than a complete car would’ve. The whole point in purchasing a vehicle for a personal repair project, is that you fix it up to make the car running again. So when you have purchases such an automobile for a project, you will still need to hunt down the right parts for it. Upfront, you’ll never know what’s missing. It might be the transmission, it might be the brakes, it might be the transmission. When going to a classic car dealer, you will have talk to him to find out what’s missing on the car you have your eye on. If the vintage car dealer is a trustworthy guy, he will also let you have a look under the hood and everywhere else. If he won’t allow you a close look, you should just walk away. After all, when you are purchasing a car you know to be incomplete, you have to know exactly what’s missing. Otherwise, you can’t plan a budget for the missing parts you’ll have to buy. For this reason, you should always think twice before buying a classic project power car. To learn more about this topic, please read Project Muscle Cars For Sale. To read more about old vehicles in general, go to the Cheap Old Cars For Sale website.